I felt the book itself was really well paced and the chapters were easy to read and just long enough to keep this very gripping story moving . We find that Jerry is looking into the mystery of an escaped murderer. And throughout the book we get to see Jerry and his friends try and work out who is watching him, pointing him on the path that could lead him to coming face to face with the murderer. I loved the characters like Ash, Nick, Justin and Kate in this book. Each one was very well-rounded and very engaging to follow. I also loved the closeness of Jerry’s friends and the way throughout the book they pull together to help Jerry uncover clues and try and make sense of who Robert Mosley was and who was making him tick. While still trying to maintain a life in high school, doing all the things high school teens do. I also found it interesting that Robert Mosley groomed his victims or the children he kidnapped using online games. What a scary thought. I felt for Jerry also having to deal with having been taken by the murderer. And the end chapters was really terrifying as Jerry gets to know a bit of what Robert Mosley thinks is driving him to do chilling things to other innocent people as well as leaving open a question of did Jerry hear a girl scream for help? Or was the voice one of Robert Mosley’s twisted games? 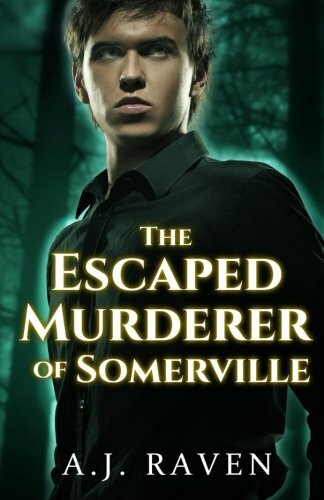 I would recommend this book if you like following different and exciting characters, a gripping YA storyline that will keep you reading all night long and leave you wanting to read a next book by the end, then this book is for you… The Escaped Murderer Of Somerville is book 3 in the series, but can be read as a standalone as well. If you would like to give this book a try you can buy it in paperback or kindle.. I love books where there’re clues that need putting together… 😀 Great review. Oops sorry Katie. I wrote the comment on the wrong article I read.